Hello friends! How are you all? 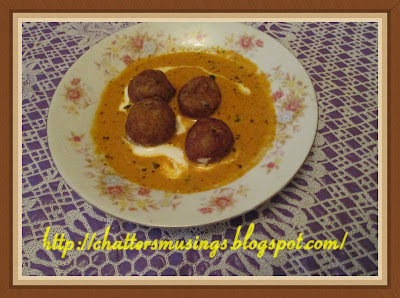 My today's recipe is inspired and partly taken from my friend Shruti @ shrutisrasoi. 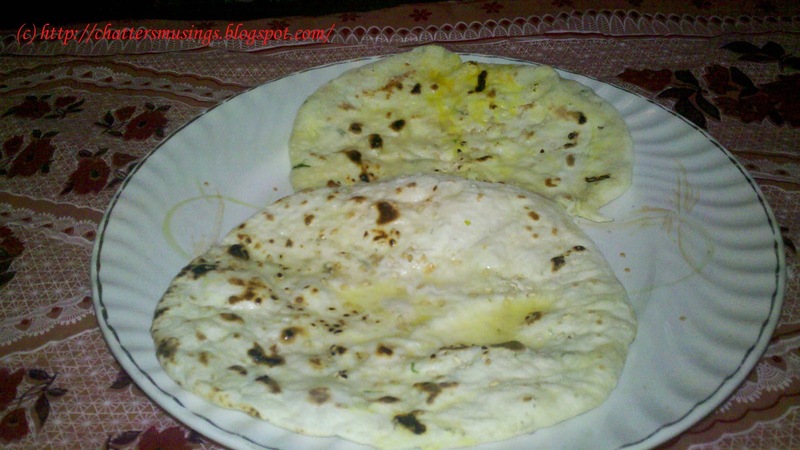 She had made yummy amazing amritsari kulcha and I so wanted to try it out. I had little time and so I just changed the kulcha to have garlic flavour. It was so so yummy that my family just finished and had more than they normally have any roti. I was left with just one kulcha to taste. Ha ha. For amritsari kulcha you can click on shruti rasoi link to see her recipe. Shruts this is for you. some garlic cloves finely chopped. In a bowl, sieve Maida and add curd, baking powder, baking soda, salt, sugar and garlic cloves. Mix all of them and using water make a smooth dough. Apply some oil to the dough and mix well. Cover the dough with wet cloth and keep it for 4-5 hours at warm place and the dough would double in size. Knead the dough again with greased hands. Make some lemon sized balls of the dough and keep aside. Take one ball and roll it out in desired shape slowly. I tried to make oblong but it became circle and top it with sesame seeds. Roast on tawa or griddle as I did. Roast both sides and take it off. I garnished a little with butter. Serve hot with any gravy dish. Hope you like this and thanks to Shruti I made a yummy kulcha. Next time amritsari kulcha would find its way in my kitchen.. Over to you for your lovely comments. 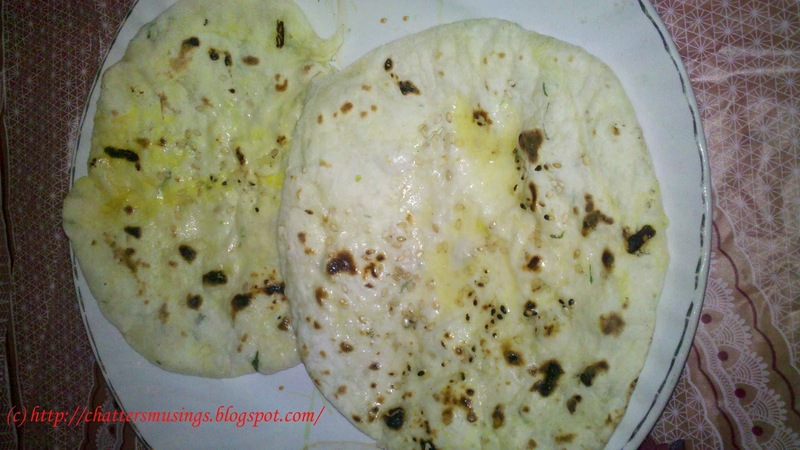 Posted in: garlic kulcha,indian bread,vegetarian. like the flavor of garlic.. Thanks Meena, garlic gives a wonderful flavour to kulchas no wonder you were left with only one to taste ! thanks for the recipe shruts. 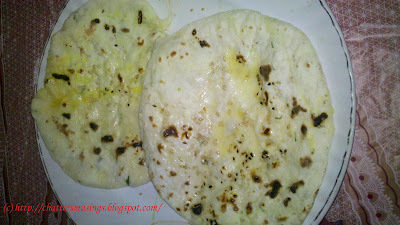 next time sure amritasri kulcha wud be in my kitchen. thank you all for liking this yummy kulcha. once u have u wont stop. Super flavourful kulcha,just my fav. 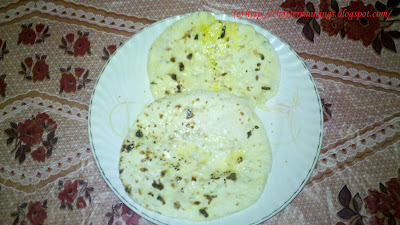 Soft Kulchas.. Love the garlic flavor.. yum..
kulchas / naan is something i havn't tried yet! soon i guess... and urs look quite soft ! 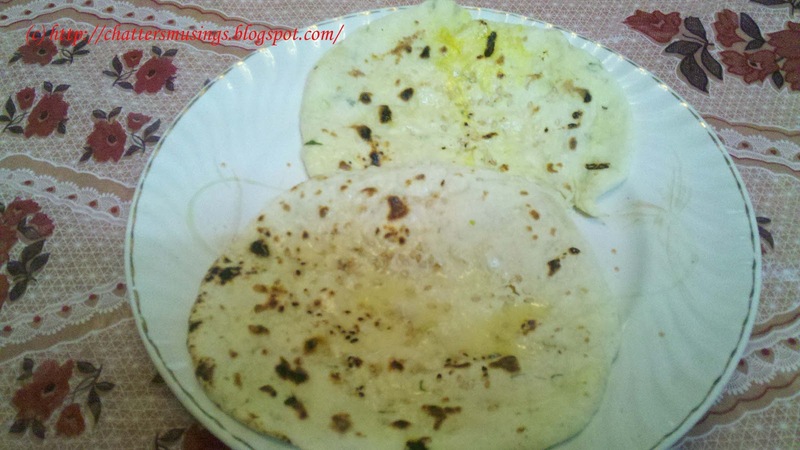 I love Kulchas, and garlic + cheese is my fav.Thanks for this recipe! Yummmmm!! I love making kulchas, and they always come out so soft and fresh. In fact I made paneer kulchas the other day (I still need to make a post about it). This looks delicious!!! Thanks so so much for linking it up to my party.